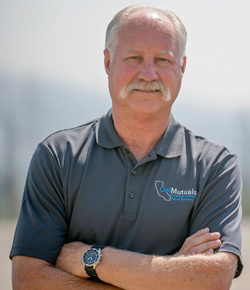 Kenneth “Ken” Bradbury is the General Manager for Montebello Land & Water Company located in the City of Montebello. Ken began his career in water as an operator, quickly learning all aspects of managing a water system. He has served in his current role for over 40 years. He has served on the CalMutuals Board of Directors since 2014. Ken also serves on the Central Basin Water Association Board of Directors and the Central Basin Watermaster Water Rights Panel.